What Does the Noise From My Gut Mean? Home » General Health » What Does the Noise From My Gut Mean? You have likely heard noise from your bowels, stomach, or intestines before. This could be anything from a hungry stomach growling to the churning sound your gut makes before relieving constipation. These sounds are normal and are actually happening all the time. If you had a stethoscope, you would be able to hear a much richer and more persistent array of intestinal noise. Without one, you only hear it when the volume is particularly loud. The noises are because your intestines are hollow and largely made of muscle. They are empty pipes and tubes that move food along through a series of muscle contractions called peristalsis. Any air that you swallow while eating or gasses that are released as bacteria break down food in your gut, is also pushed along during this process. The contraction of your intestinal walls and the movement of mass and gas is the cause of most abdominal noise, which echoes along the intestines. A similar effect is why your stomach growls when you’re hungry. When you haven’t eaten, the amount of fluid in your stomach is lower, creating a hollower environment that can easily project the sounds of muscle contractions. Intestinal and bowel sounds are more pronounced following large meals, when excess gas is being moved, or when you are passing a large amount of stool, among other natural causes. It is worth noting that although sounds from your intestines are normal, it doesn’t mean they all are. Certain conditions can cause abnormally loud and persistent (or subdued and silent) bowel noises that can become problematic if left unaddressed. If you notice a decrease in the tone, volume, or frequency of your bowel noise—not always possible without a stethoscope, but it can happen—something may be interfering with the regular intestinal process. A common cause is a “mechanical” bowel obstruction. This is when something is physically preventing the bowel from moving material along normally. 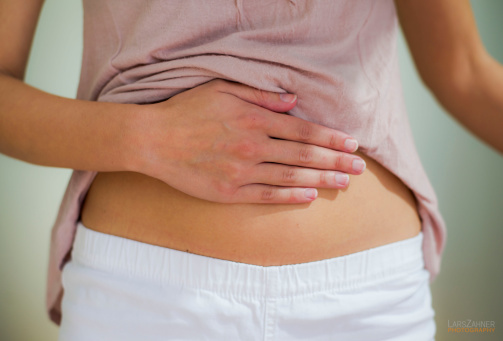 The most likely culprit is constipation, but tumors or hernias can also cause similar effects. Additionally, many medications like codeine and some anesthetics will slow the intestines as a side effect. Sometimes, a blood clot or other blood vessel obstruction can cut off blood flow to the intestines. This is called mesenteric artery ischemia and is most likely to be found in smokers or those with hypertension or high cholesterol. Lastly, there is paralytic ileus, also known as a “pseudo-obstruction”. The term comes from how ileus causes the bowel to significantly slow or stop but without any physical blockage. Ileus can result from numerous sources including gastroenteritis, potassium deficiency, complications of abdominal surgery, mesenteric ischemia, abdominal infections like appendicitis, or certain narcotics. Without movement, gas, fluid, and waste of the bowel will build up and potentially create a rupture, spilling the contents into the body cavity. This is a medical emergency and requires immediate attention. While you may be able to hear your intestinal sounds on occasion, most of the time the noise goes unnoticed by those around you. In cases of hyperactive bowel noise, the sounds are strong enough that they can sometimes be heard by people nearby without aid of equipment like a stethoscope. Generally speaking, hyperactive bowel sounds mean that something is agitating the intestinal tract into moving faster than normal. Diarrhea is a common example, since food is moved swiftly through the gastrointestinal (GI) tract and results in repeated bowel movements. Food allergies, enteritis, Crohn’s disease, gastrointestinal bleeds, and ulcerative colitis are all possible sources of the increased motility (the contraction of the muscles that move contents in the GI tract). The heightened motility can take two main forms: The first is when something is agitating the intestinal wall and provoking it into pushing more frequently or stronger. The second is when something is drawing more water into the intestine or bowel. The excess fluid advances waste along and usually results in very loose or watery stool. Interestingly, a mechanical bowel obstruction can be the cause of a hyperactive bowel noise as well as a hypoactive bowel noise. This is because the body will end up attempting to pass or push beyond the obstruction, and the excess force will create heightened intestinal sounds. In between these periods, the forced inactivity of the blockage will cause a loss of sound. You should always be wary if there are absolutely no bowel sounds following an intense period of hyperactive noise, as this may indicate a rupture has occurred. With the information you provide, along with the results of listening to your gut via stethoscope, your doctor may send you for additional tests. This could involve a CT scan, X-ray, endoscopy, or blood test depending on what kind of information is desired or the suspected diagnoses. Medication may also be given to alleviate symptoms. Since they are part of your normal digestive process, there is no true way to avoid hearing intestinal noise. However, there are certain steps you can take that will reduce the likelihood of developing unusually loud sounds. Maintaining a proper fiber and water intake, for instance, can help reduce the risk of constipation. Additionally, eating more slowly to avoid swallowing air can prevent gas from building up. In a similar vein, avoiding foods that produce gas such as beans or carbonated drinks may also help. “Abdominal Sounds,” MedlinePlus Medical Encyclopedia, U.S. National Library of Medicine, https://www.nlm.nih.gov/medlineplus/ency/article/003137.htm, last accessed October 16, 2015. “Intestinal Obstruction,” MedlinePlus Medical Encyclopedia, U.S. National Library of Medicine, https://www.nlm.nih.gov/medlineplus/ency/article/000260.htm, last accessed October 16, 2015. “Mesenteric Artery Ischemia,” MedlinePlus Medical Encyclopedia, U.S. National Library of Medicine, https://www.nlm.nih.gov/medlineplus/ency/article/001156.htm, last accessed October 16, 2015. Moore, K., et al., “Abdominal (Bowel) Sounds,” Healthline web site, October 6, 2015; http://www.healthline.com/health/abdominal-sounds#Overview1.